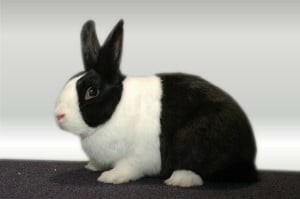 The Dutch rabbit is also known as Hollander, it is one of the top ten popular rabbit breeds worldwide. The average lifespan of the Dutch rabbit is between 5 and 10 years. The matured Dutch breed rabbit has an average body weight of between 2.0 to 2.5 kg. Rabbit meat is known to be very tasty and delicious.